I had decided to leave reading this book until I was firmly ensconced in holiday mode in South East Asia, it seemed appropriate and the near five hundred pages of Pulitzer Prize winning writing presumably warranted one’s full attention. It requires both confidence and skill to succeed in writing a lengthy novel, all too many could easily be condensed by a hundred or so pages, losing their way in the absence of a good editor who should really know better. So with this in mind I placed my trust in those who know best at Pulitzer and read the story of ‘a spy, a sleeper, a spook, a man of two faces’. 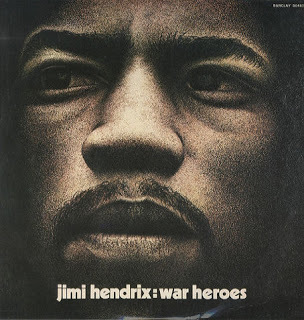 The Vietnam War remains the most reported war in history, there have been endless movies, books and documentaries on a conflict which, post Korean War, shaped American foreign policy and divided a country like never before. The legacy of America’s actions in Vietnam lives on, a catastrophic waste of life, land and money and a retreat as shameful an event as can be remembered. 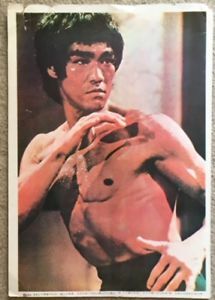 But for all of the books and movies there are precious few which give the Western reader a view from the other side, that of the North Vietnamese whose victory over the Americans and indeed the French, came at such a huge cost. Bao Ninh’s quite brilliant The Sorrow of War is an exception though interestingly unacknowledged by this book’s author who mentions a number of influences, some of which are more evident than others. Despite Bao Ninh being on the ‘winning side’, he, unlike his considerable opposite numbers, refused to paint a romantic portrayal of the war, he leaves stereotypes for Hollywood, drawing instead on the private anguish of those drafted at an early age, forced into seeing and committing unspeakable acts which this book reminds us of albeit in a post-war American society. 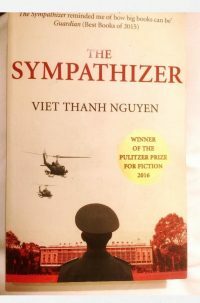 In The Sympathiser, Viet Thanh Nguyen captures those final days of America’s presence in South Vietnam, he gives due credit to James Fenton and his seminal account of the events in ‘The Fall of Saigon‘ as a piece he drew upon in what is for me, the strongest part of the book. Never has the term ‘money talks’ seemed so attributable to a story as it was with the American evacuation, here the author captures quite brilliantly the whole sordid mess, we realise the audacity of those in the Vietnamese military hierarchy wielding their last remnants of power to escape witnessed by the desperate proletariat spitting their hatred as they scramble for the final flights out of the city. Contrast that with those few on the American side whose genuine guilt at leaving behind translators, guides and fellow soldiers who had bravely served them shows the appalling shifts in loyalty to one’s own. This then is a tale of espionage in all of its sordid glory, an often amusing, some times toe- curling account of life of the outside, life as an immigrant seen through an immigrant’s eye with all of the temptations life in the West offers the wide-eyed innocent. Nguyen captures the racist undertone which follows the migrant from arrival to sponsorship and eventual semblance of acceptance within their new community. Here the spy is caught in the conflict of interest so often felt by the pitfalls of deceit. 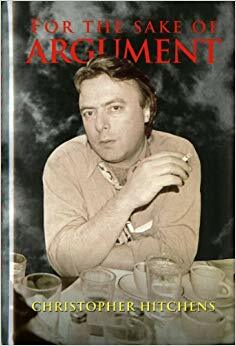 His closest friends are by geographical and political definition, his enemy, he yearns for home but enjoys the fruits of the liberated American woman and envies the trappings of the capitalist system he was trained to hate. Did the editors get it right? Pulitzer clearly think so, the first three quarters of the book are near genius but the final chapters become drawn out and tiresome. The author does ‘James Fenton’ very well but we already have that, reading the blurb I had hoped for The Deer Hunter minus the return to Vietnam, it’s an opportunity missed for a critique proper of post Vietnam America and the fate of the refugees, it’s an espionage novel of sorts but not quite.